RADIATORS – How much space do you have in your case for a radiator? Radiators are used to cool the liquid that flows within the loop in your system and they help to transfer the heat between water and air. Your radiator handles the heat, and makes sure that your cooling system runs smoothly. We offer many different types of radiators, check out our product offering to figure out which best fits your needs. MCP PUMPS – Ensure that your system is protected from the dangers of overheating by keeping things flowing and cool with a high-quality pump. Although it is merely a small component in your system, the importance of having a reliable, quality pump installed makes a huge difference in your system’s ability to keep things controlled, flowing, and fail proof. 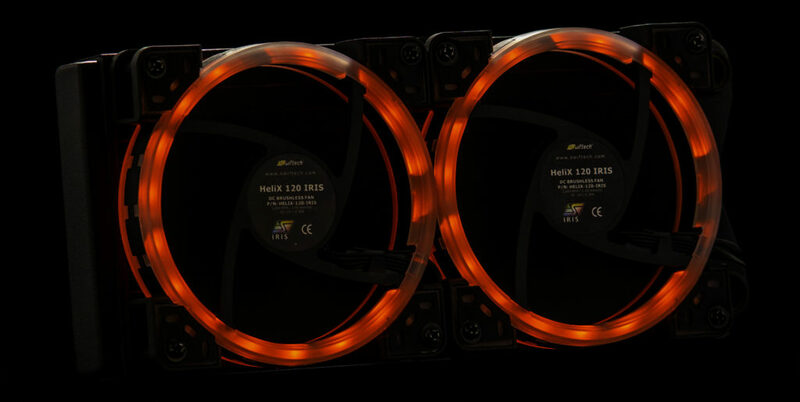 HELIX FANS – A good fan is essential in protecting your build against damage caused by heat build up in your system. 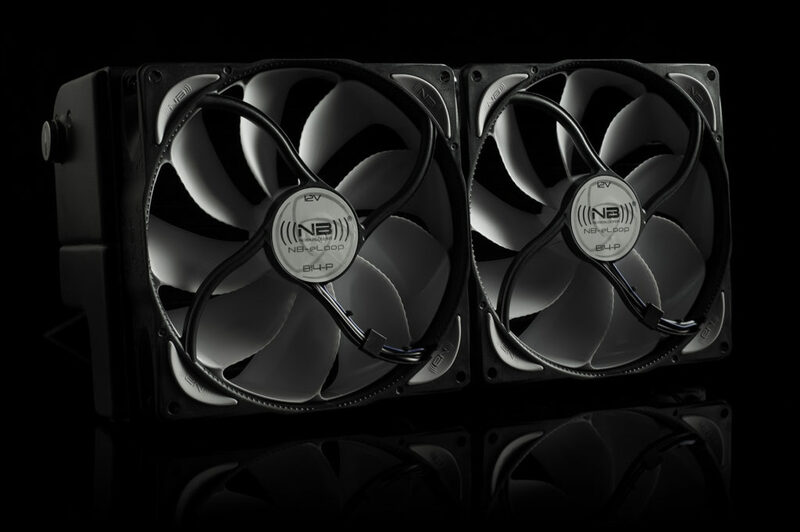 Our fans are optimized for liquid cooling and feature high static pressure and low noise. We offer many different types of fans. FITTINGS – We offer many types and sizes of Lok-Seal fittings for your build. 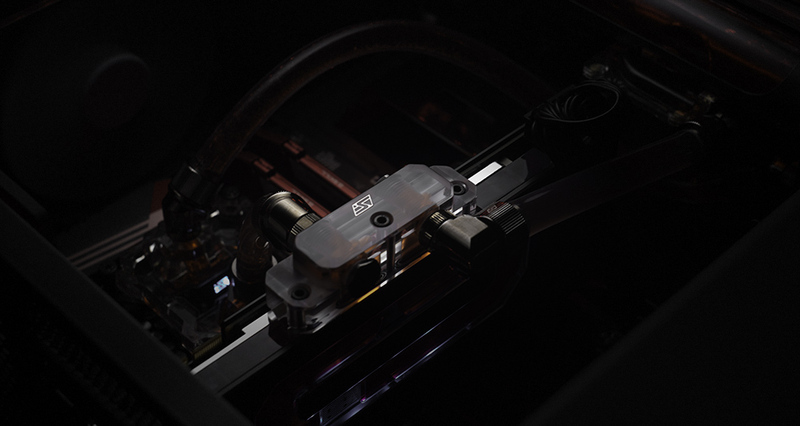 Compression fittings are most popular due to their extremely clean look which water cooling enthusiasts strive for. We have them in a range of colors and sizes. RESERVOIRS – Your reservoir size and liquid capacity plays an integral role that determines how much heat your cooling system can dissipate. 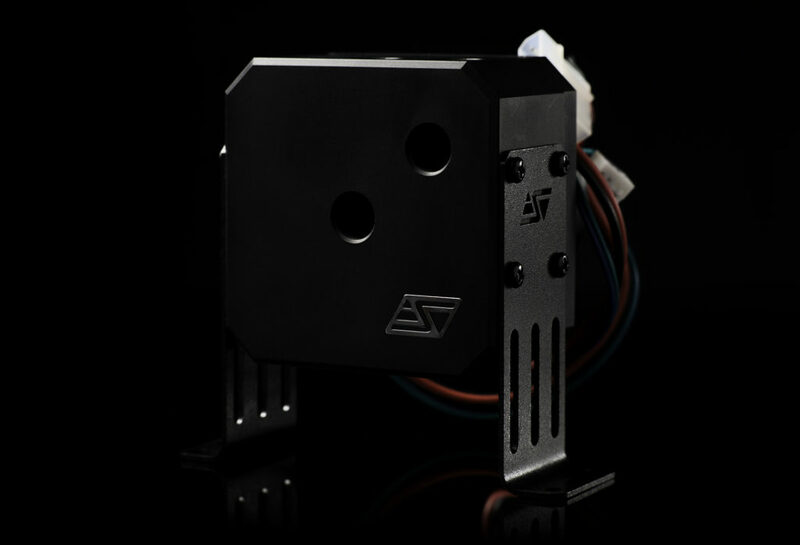 Increasing the size of reservoir and amount of water in your system will allow for a greater distribution of your cooling capacity.